While it is still screenshot Saturday, I'd like to share the screenshots of the upcoming Strategilization update. The life of your civilization starts, when you decide, where to gather food for your citizens. 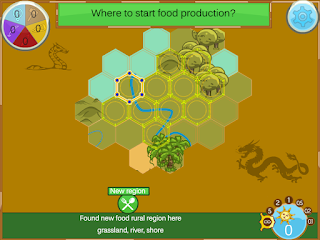 And only then you'll be able to found a city on a hex, adjacent to your rural region. For all the aspects of your nation's life (expansion, exploration, improvement, research, wars) you'll be able to set up a development strategy. Afterwards you'll be able to spectate how your citizens, turn by turn, fulfill your orders and, if needed, issue the new ones. 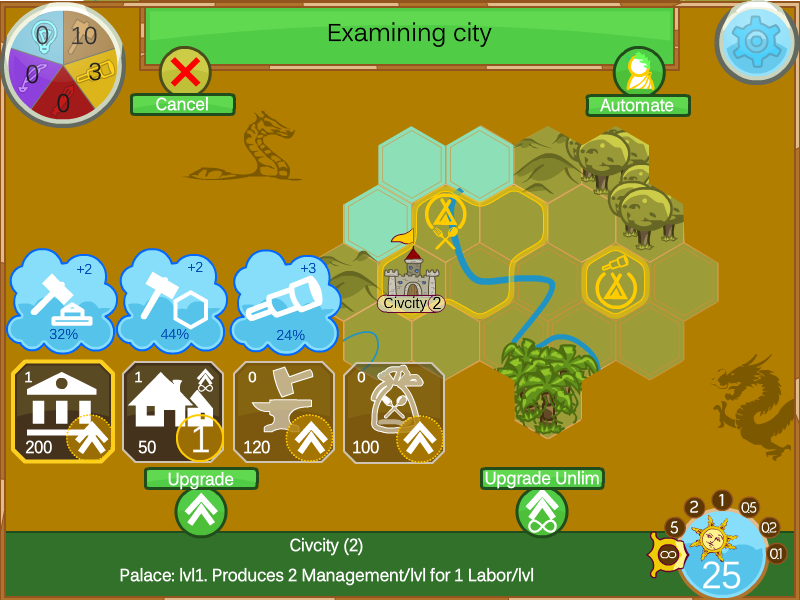 From the city interface you'll be able to control various ideas, which influence your citizens' productivity. Actually, the core gameplay has been reworked almost entirely since the posts at Airapport, so, to help new players get into the game, and to help myself have my thoughts organized, Strategilization wiki was created. These changes has not been uploaded to Google Play yet, but now it's possible to say that the update will take place before the next Ludum Dare (in 2 weeks). Do you need testers to give input pre-alpha launch? I love the concept and have been following closely. I'd be happy to give weekly feedback. I was offering pre-alpha launch testing lol. I've been looking for a game with this concept for years. I want to help you guys succeed. No worries though, I can give input after alpha launches. On the 8th you guys said two weeks, is there an updated date? Thanks for sharing the screenshots of the games. It is kind of fun when you are playing it and the games like bar trivia game which you can play to win the game.